X-Small - $49.99 Only 2 left! Small - $49.99 Only 9 left! Large - $49.99 X-Large - $49.99 2X - $49.99 Only 2 left! Even Santa has to use the little boys’ room sometimes. Unfortunately for him, Christmas Eve doesn’t provide a lot of time for pit stops. Sometimes, he just has to make due wherever he is… even if there’s no bathroom in sight. It’s not a pretty image to think about, but some Christmas Eve nights, he just has to land the sleigh down and do his business in the snow. 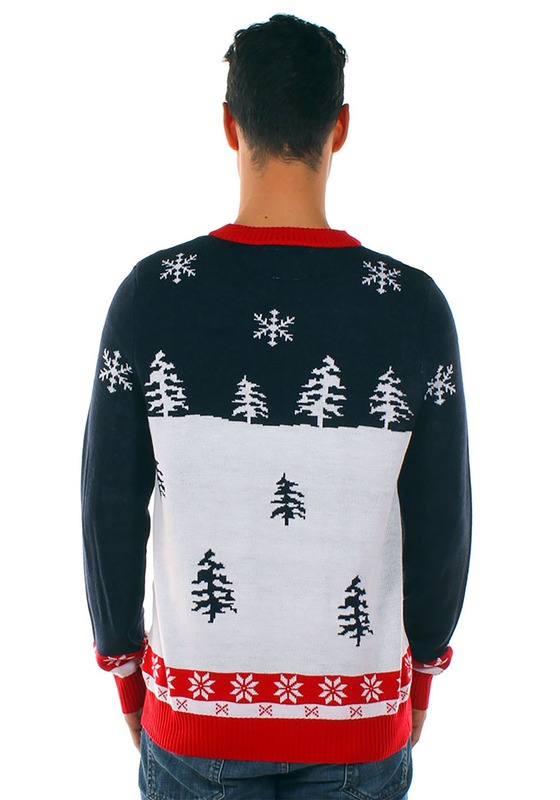 That’s exactly what this Ugly Christmas Sweater by Tipsy Elves is all about. 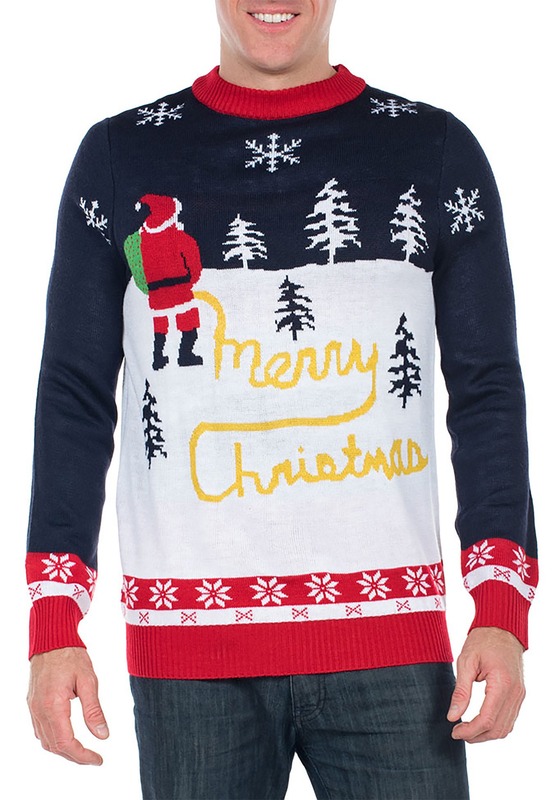 This Yellow Snow Ugly Christmas Sweater is a funny knit sweater designed by Tipsy Elves. The front of the sweater depicts Santa on a little pit stop during Christmas Eve night. He’s being festive by spelling “Merry Christmas” in the snow during his little bathroom break. It also has a splash of red along the cuffs, the waistband, and the neckline to help give it a festive look! If you’re looking to stir up a few laughs at your Ugly Christmas Party or you just want to warn people about the yellow snow out there, then this Tipsy Elves sweater is the perfect look for you. Just don’t let Santa Claus see you wearing this sweater, because he may just put you on the naughty list.